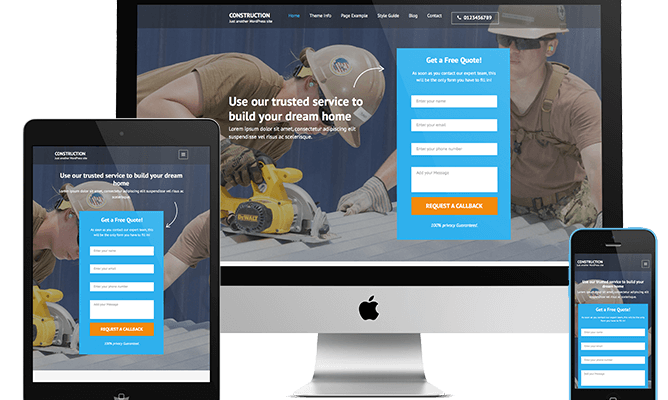 Construction Landing Page is a free WordPress theme for a construction company or business. The theme is suitable for constructors, builders, interior design companies, architect, plumbers, packers and movers, landscapers, and any construction-related industries. The over-the-fold contact form on this free website template is perfect to increase email inquiries. The theme is also great for small or large businesses that want to create an effective landing page to generate and capture leads.